It is that time of year again when players will be purchasing skates for the upcoming season. With new skates comes the agony of breaking them in. 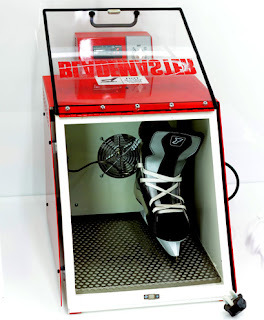 In the past, players would try different methods for breaking skates in. Some of the methods used were sleeping with them on, wearing them around the house, or putting wet socks on and wearing the skates. Today, most players heat mold skates but actually are unsure how to bake hockey skates. Just remember heat molding skates will not break them fully in. The player will have to skate between fifteen and twenty hours preferably at practice not an open skate session. When playing hockey, staying protected and having the right equipment is the most import aspect, we all know that, but it is no secret that hockey players want to look good too. There are alot uniform options to choose from and in working in the industry I have come to choose my favorites. The best hockey jerseys to me are not only judged by the quality of material, but also the stock and availability; does the vendor have good inventory? are they quick to ship out to of warehouse? do they fill back order issues in a timely fashion? These details are important to me as a retailer, but mainly because I know that reorders will be needed and that I rarely have a long lead time to get the jerseys done. For those reasons I need to work with a manufacturer who has the best hockey jerseys ready to ship out for me so I can deliver the job to my customer fast and with minimal correspondence. For me, Athletic Knit fills all this criteria and delivers the best hockey jersey in the most timely way. Always an eager customer service rep to answer my question and take my order which ships out same day. Check out the endless styles and available options at: http://www.athleticknit.com The only place Athletic Knit, "AK" falls short is that they do not have a live inventory in front of them to tell me stock as I order. I have been told this is something that is in the works and will hopefully be updated within the year - I hope so because aside from that they are really doing everything right and in my opinion produce the overall best hockey jersey. With hockey uniforms, there is also a very high demand for a custom made jersey. To find the best hockey jersey in the custom realm, the most important details for me as a retailer are price, quality and turnaround time. Some companies offer custom options, and the quality is great, but the price is just too high. Not that the quality doesn't warrant the price, but my customer would just never be able to pay the cost and I would lose the sale. The best hockey jersey companies sometimes are good at and one thing, but may fall short on another - its common for many industries. Its rare to find one manufacturer who can do it all perfect. 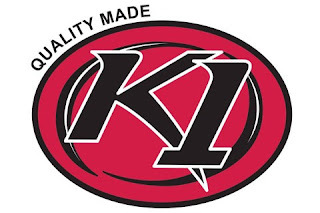 In my opinion, the custom company who delivers the best hockey jersey is K1 sportswear. 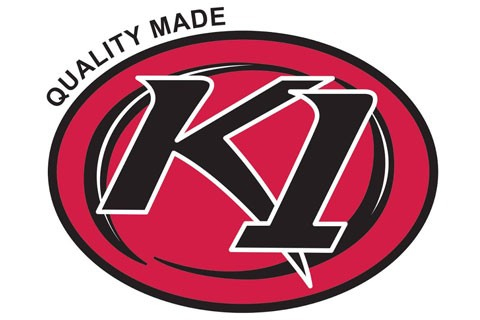 http://www.k1sportswear.com. The jerseys are cut and sewn, which always really impresses a customer, they are reasonable priced and they have improved their production time greatly over the past few years. Athletic Knit also offers great options for custom jerseys, the differences are that they are knitted, not cut and sewn which is standard and a great option, their production time is timely, but they are more expensive and often not an option for my customers. For these reasons, I thought I really had to choose two manufacturers who produced the best hockey jerseys in these two departments. I have been involved in the custom uniform business for 10 years now, and although I service all sports, we specialize in hockey uniforms. We do all the logo and embellishing in house, we create custom logos. offer many options in numbering and embroidered patches. I have had orders that were challenging from start to finish and I have orders that were a breeze. Regardless of the process, I am confident that my production team and I have always produced the best hockey jersey for that team. It has been a pleasure working with some companies and an absolute nightmare with others. My job as retailer is to simply deliver the best hockey jersey at the best price with all the components that reflect the approved proof. I choose the best manufacturers who can support my effort and today... I am sharing my report with you.